Discussion in 'Radicons Customs' started by sgtf, Mar 21, 2016. I've been toying around PE's fist, and I'm proud to show case fist guards for PerfectEffect CW upgrade kit! Designed and printed on my 3D printer & it works really well. 5 fist guards released on my shapeways shop! 1) How do they stay on? 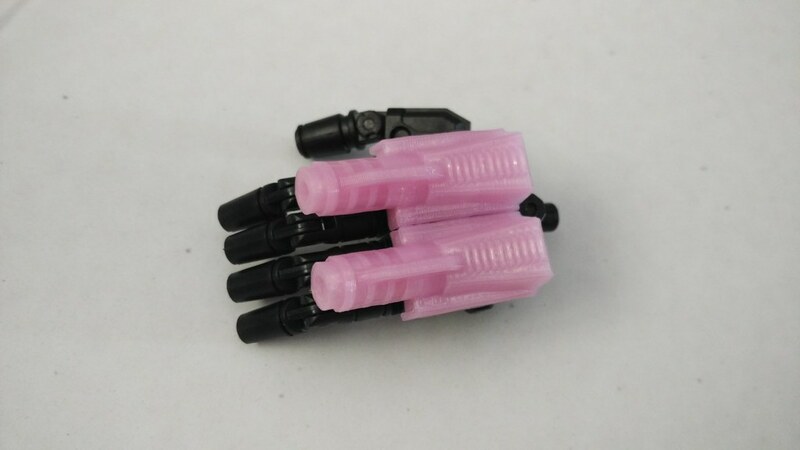 This addon is designed to have pegs fitting onto the PE hands, I've printed on my FDM 3D printer, it fits nicely. Do not the slight tolerance difference on FDM printer and Shapeways. They are fitted based on friction pegs. 2) Are you able to mix and match on a single fist? Yes! it is designed with that in mind! 3) Will it fit on newer PE designs? 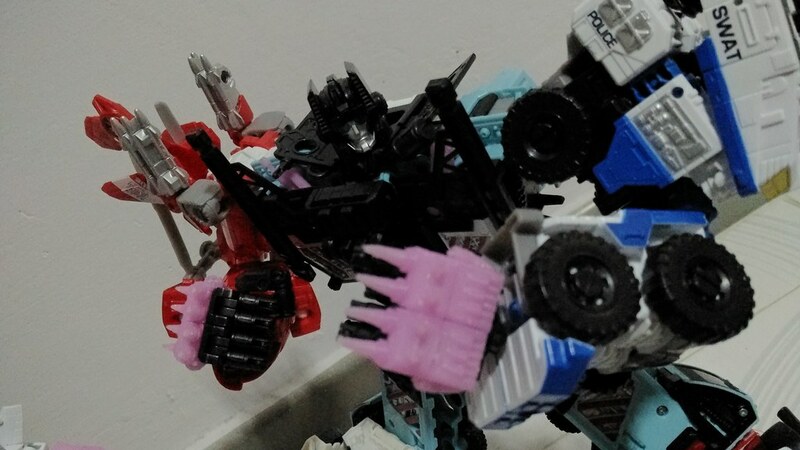 Like Bruticus fist or Prime? 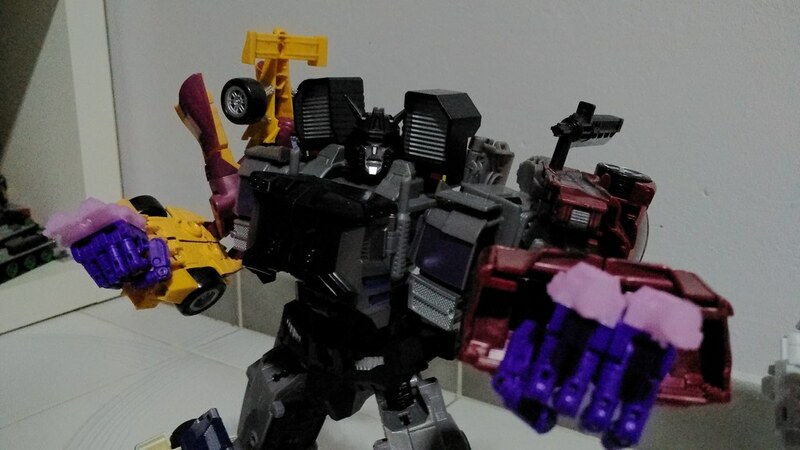 I do not have the Bruticus set, but if PE didn't change the fist design (and based on online pictures) but only the fingers, then yes, it should fit too. 4) How do you identify it for right hands or left hands? 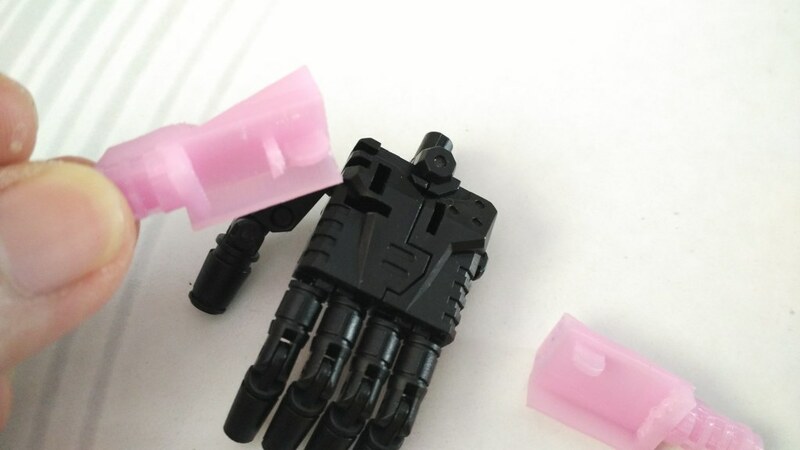 It is customized to fit only one hand per set per piece. Not to worry, I will also include letterings to let you identify which hand should it fit on to. 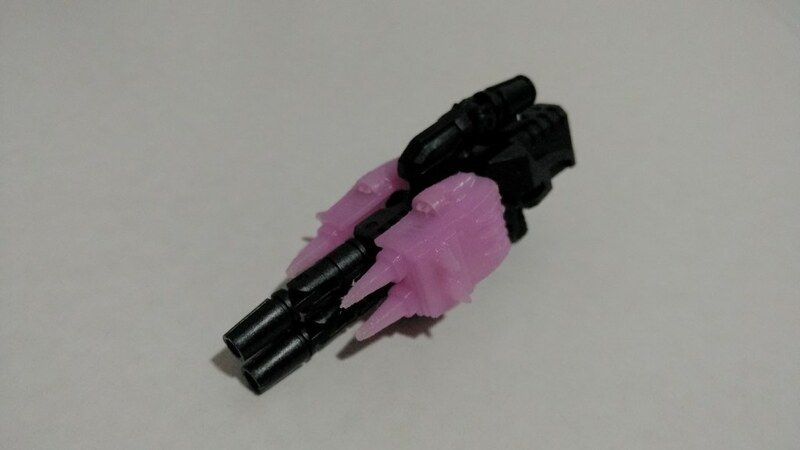 5) Are the fist guards for sale in Shapeways? It is available in my Shapeways shop! Adds the some detail to the fists, much like the stock fists the figures come with. Nice! 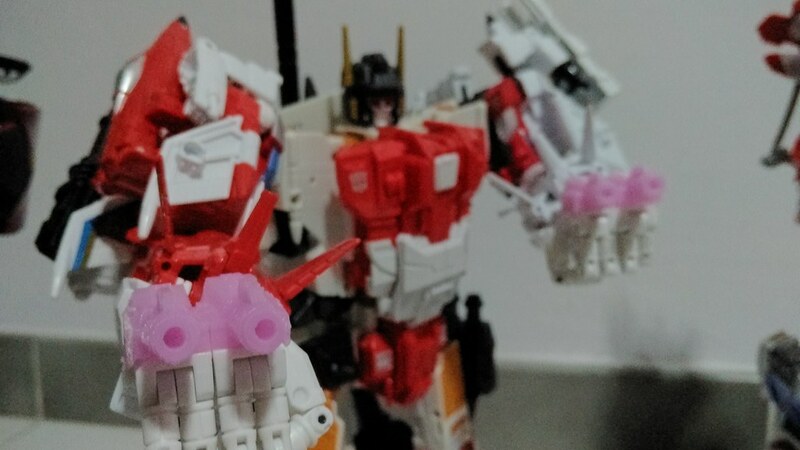 The set you have on Defensor reminds me of Predaking's knuckles! I'd also like to know how they stay on, especially since I don't have any of the PE sets yet. Awesome! I've been looking into re-purposing the HFG "shell" to fit over the PE hands. This is a nice alternative! Here are some sneak peek! now the question is.....can you mix n match on a single fist? 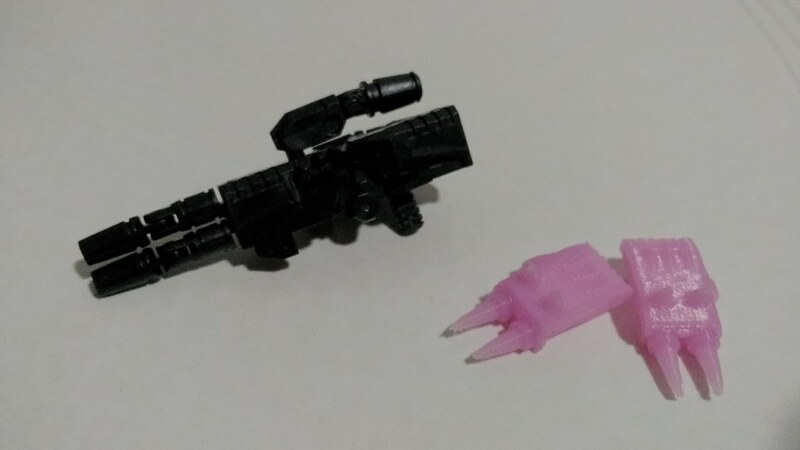 Looks like the guards split into two cannons/missile pods? Why not mount on to it? Sweet idea man. TFW's ripe with CW Shapeways upgrades these days. Thanks! I'm working a series of fist guards currently! Thanks! I agree, we always want our figures to stand out and be better! It's just at the right time when I'm learning how to use my modelling skills for 3D printing. Soon I shall show off my ideas! MWUHAHAHA! 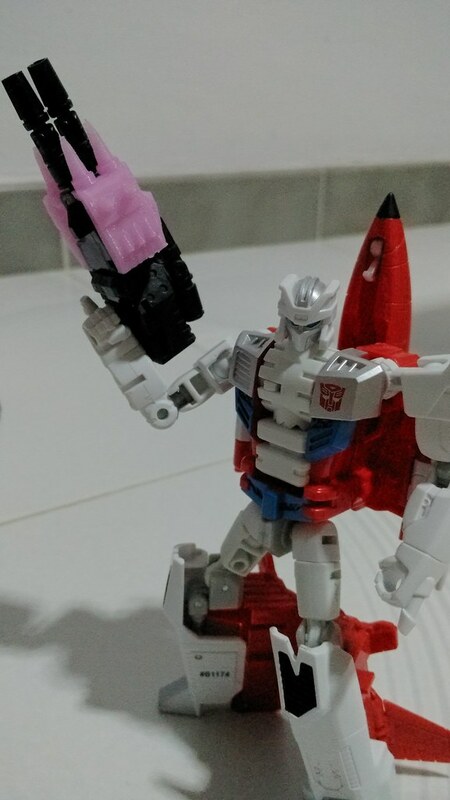 I'm thinking of an updated Energon Optimus Prime. 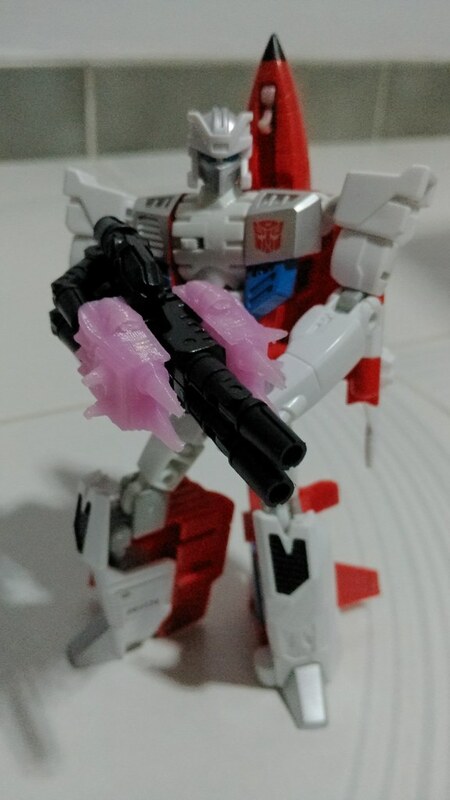 No fat robot mode, a properly articulated combined mode, Wind Saber capability and a better head sculpt. Just have to figure out the software interface...and get the time...and the money to print. 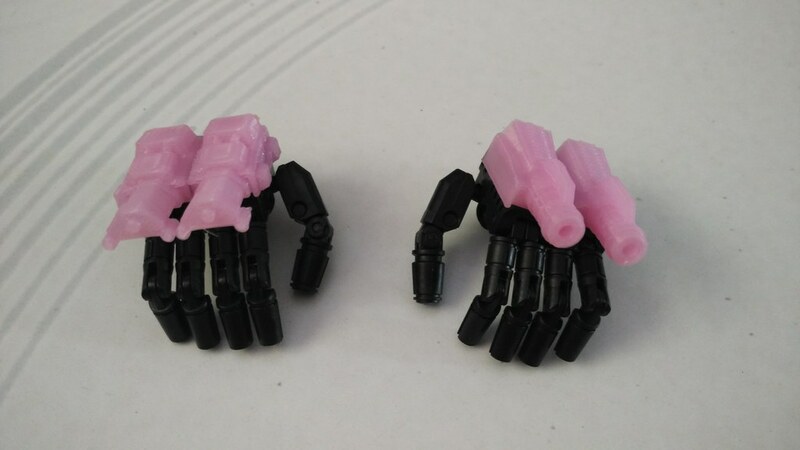 The fistguards are now available in my Shapeways shope!